Today was the first full day of talks. There were four sessions of about two hours each and they were packed with excellent talks. This was definitely one of those unique-to-TED days where I will be thinking for a long time about all that was said. Rather than going through each of the talks, here are a few of the highlights. None of the day's talks were bad and most were very good. Even picking the highlights is a tough task. David Eagleman showed ways that the human brain can use alternate input devices to perceive the environment around it. He argued that our eyes, ears, nose, and so on are just peripherals and that the brain can learn to use other peripherals as well. He cited research done to help blind and deaf people to use things other than eyes and ears to see and hear. He then showed a vest which could vibrate different areas on his back based on different inputs. Using it, a deaf person was able to correctly identify spoken words with only a few days of use. His belief is that such devices could be used not just for sensory replacement, but sensory enhancements where the inputs could be anything from the stock market to the status of an airplane. He did not explore whether such enhancements would change the definition of what is a human. That is definitely something I will be thinking more about in the future. Nick Bostrom gave a sobering talk about the importance of giving future superintelligent computers proper goals. He feels that "we cannot keep a superintelligent genie in a bottle." Once we create such an entity, there will be no stopping it. He views such computers as inevitable and that it is essential that we think carefully about how we want to constrain them. I kept thinking about lots of science fiction I had read in the past and especially about Asimov's three laws of robotics. I definitely need to buy and read Bostrom's book, Superintelligence: Paths, Dangers, Strategies. Chris Urmson, Google's Director of Self-Driving Cars, gave a compelling talk on the future of such vehicles. He feels there is a clear distinction between driver assistance and self driving and that it is not possible for an increasing number of driver-assistance features to eventually become a self-driving car. Instead, you need to approach things differently. 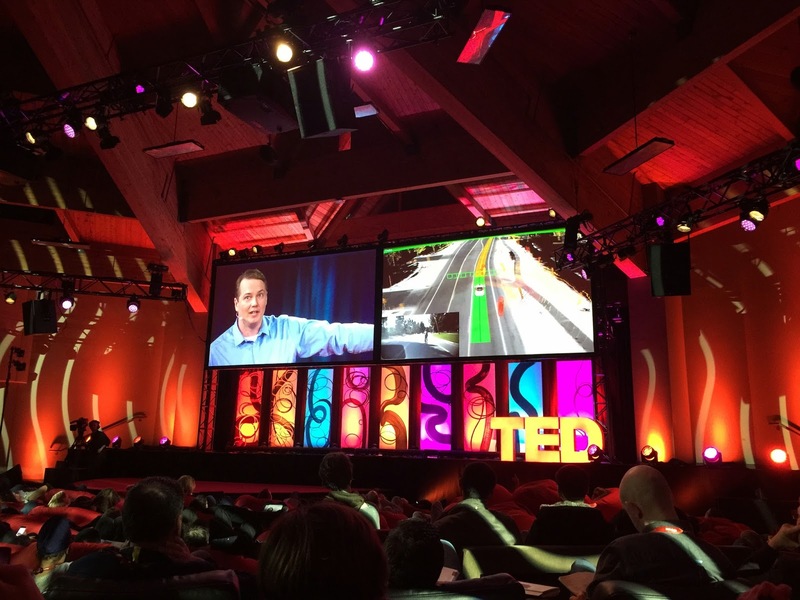 He showed a number of examples of how Google's self-driving cars perceive the environment around them. I found this all very exciting and cannot wait to have such a car. Anand Giridharadas told a compelling story from his book, The True American: Murder and Mercy in Texas, of a shooting of an immigrant, Muslim convenience store clerk in the days after 9/11. I won't recount the story he told, but you must watch the video of his talk when it becomes available. He used the two men in that confrontation to describe two Americas: a Republic of Dreams and a Republic of Fears. He talked of the contrast between people living in a flourishing America and a wilting one. He told how he considers it the moral challenge of his generation to reunite these two Americas, to figure out how we might build a more merciful America. His talk earned my first standing ovation of TED 2015. His book is one more I must read. The million-dollar TED Prize went to David Isay of StoryCorps fame. His wish is to expand StoryCorps around the world using mobile phones and apps. I am very excited about the possibilities here and plan to try and use the app myself to record and archive a future conversation about the town I grew up in (Milltown, NJ) with my 91-year-old mother. There were many other highlights such as Daniel Kish, a blind man, describing how he "sees" by clicking his tongue and using echolocation to build a 3D map of his surroundings. Or, the young pianist from Bali, Joey Alexander, playing jazz by Thelonius Monk. Or, Alan Eustace recounting his parachute drop from a weather balloon in the stratosphere at a height of over 135,000 feet. Or, Fred Jansen describing the Rosetta project's landing on a comet. Or, Stephen Petranek's telling his reasons for believing we will have a colony on Mars within the next 20 years. There were so many good talks that my brain is about to explode! The most frustrating talk of the day was Donald Hoffman's. He was attempting to explain, or maybe explain away, consciousness. That is an admittedly hard task that many have failed at. As best I could understand, his basic premise is that humans' ability to perceive reality is flawed because of the evolutionary process which created our ability to perceive reality. He made broad philosophical statements like, "Space-time and objects are not reality." He used the example of an Australian beetle which looks for the color brown with small dimples to identify its mate. Unfortunately, a popular beer bottle in Australia has the same characteristics and the beetles were unsuccessfully attempting to mate with the bottles. The beetle's limited perception was not reality. He then used computer models to show that evolution favors such simplifications of reality over reality. Thus, humans are not perceiving reality. I realize that short description is not doing his argument justice, but I found so many flaws/leaps of faith in his reasoning that I came away very frustrated by what he said. Despite that frustration, his talk was one which forced me to think (and still is). 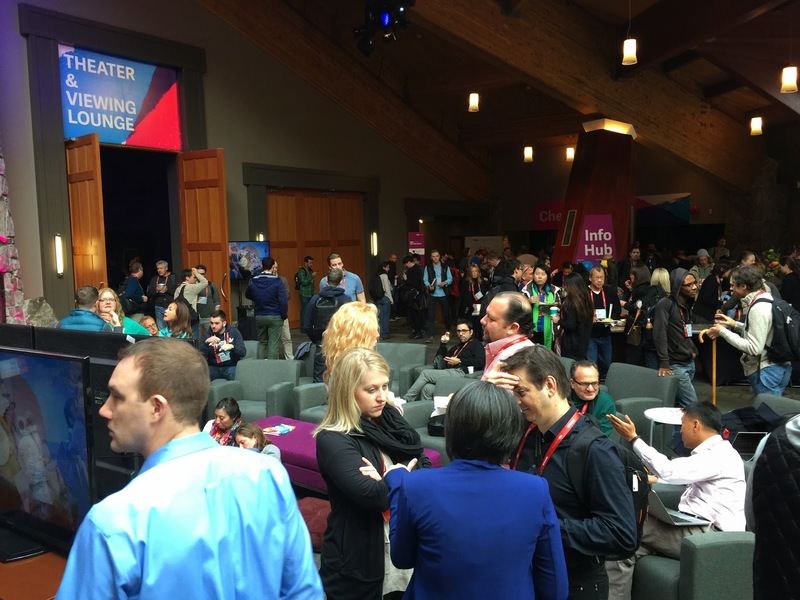 One thing I am always struck by at TED is the almost fanatical avoidance of referring to God. In today's talks, I counted two references to Mother Nature and only one to God. I don't think I will ever understand why attributing things to Mother Nature seems more acceptable than God. For example, David Eagleman said, "We are no longer subject to Mother Nature's peripherals." The one God reference was when a speaker responded to a question by saying, "God only knows." Amen. One additional side note, in previous years one or more of the talks from each day have been posted on TED's Web site. So far, I have not seen any of them on the site, so I've not been able to point to any of them. We'll see if that changes as the week progresses. The only evening event was ice skating which was not hard to resist. It was nice to get to bed early--I need the sleep!